n AJAX HTTP error occurred. HTTP Result Code: 504 Debugging information follows. Path: https://wress.tk/install.php?profile=directory_ssdaa&locale=ar&id=2&op=do StatusText: Gateway Timeout ResponseText: 504 Gateway Timeout Gateway Timeout The gateway did not receive a timely response from the upstream server or application. 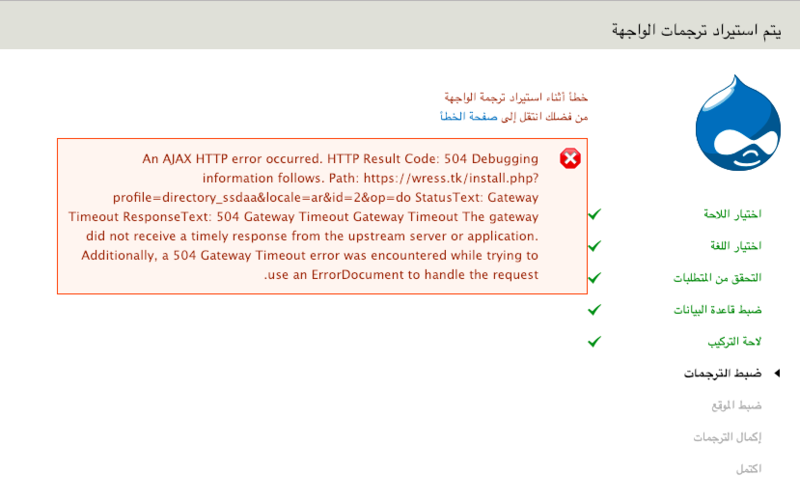 Additionally, a 504 Gateway Timeout error was encountered while trying to use an ErrorDocument to handle the request.